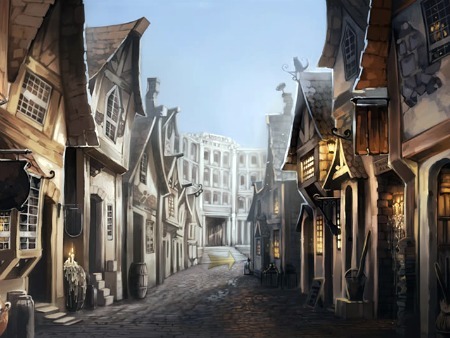 ϟ Potter & Phelps: ϟ#171 Plans for Harry Potter at Universal Studios Florida revealed. 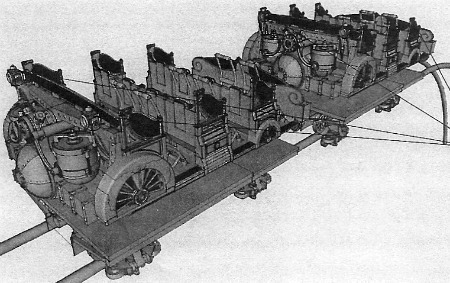 ϟ#171 Plans for Harry Potter at Universal Studios Florida revealed. clarify a few points. First, these are labeled "Concept," and dated last month (November 2011). detail of the rest of the new land, though, and picked out a few details here and there. so don't even bother asking. So let's get to it, shall we? The plans occupy the space between the Fear Factor Live theater and the Disaster! for a massive show building, which will house the Gringotts ride. where the Wizarding World of Harry Potter is expanding into in Islands of Adventure. straight back to the rounded entrance facade of the Gringotts building. 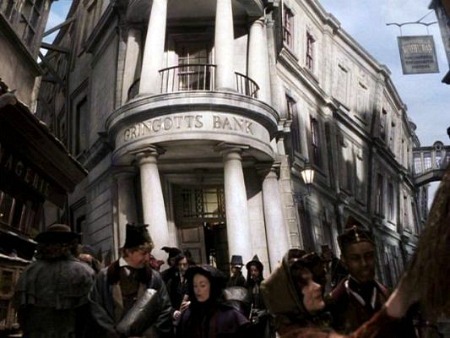 The Gringotts Bank exterior, from the Harry Potter films. Diagon Alley, looking down toward Gringotts, from Pottermore. Now let's get to that Gringotts ride. tracks to access the center load island. 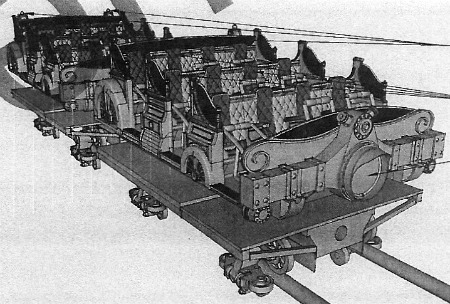 speakers per seat for on-ride audio. to rise, matching the 40-degree angle of the leading car. attaching to the roller coaster track for our initial drop. hop and a hard right turn before we hit a block brake in preparation for Scene 3: "Ledge." illusion of open space, within which we'll watch battles taking place. a waterfall effect at the end of the scene, including a fogscreen and water spritzers. -type turn to the left, then the right. turning into Scene 6: "Ruins." us farewell before we return to the load/unload platform. And yes, we do exit through a retail shop.